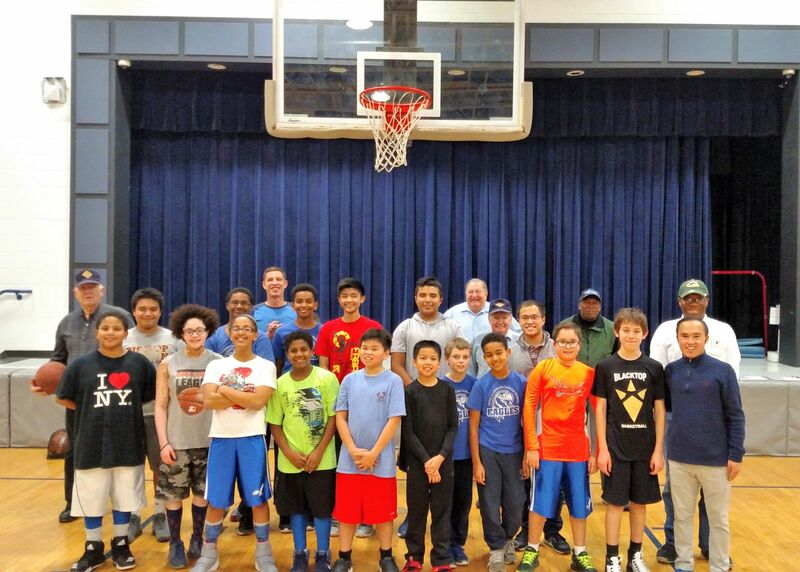 The Annual Knights of Columbus Basketball Free Throw Competition began with local competition held Thursday evening, January 19th at Queen of Apostles School Gym hosted by John Paul II, Council #4522. Lead by Brothers Vincent and Mark Vuevara, Council 4522 Knights hosted 17 hopeful contestants through the rigors at the free throw line. The competitors challenged and cheered each other throughout the competition. In the end, everyone had a good time, the best were crowned Council Champions and they will move on to the next round of competition. Certificates were presented to all participants and trophies to the winners: In the boys’ categories: 9 yrs old – Noah Linn; 10 yrs old – Robel Melaku; 11 yrs old – Gonzalo Sancho; 12 yrs old – Sebastian Gongora; 13 yrs old – Rudy Sanchez; and 14 yrs old – Noel Markos. On the girls’ side, 11 yrs old – Nadia Grant; and 13 yrs old – Jessica Gongora. Congratulations to all the competitors and Good Luck to all those moving on! Special thanks to all the Knights that showed up to help with the competition!